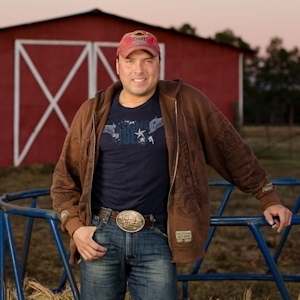 Heath Wright is one of many South Plains College, Commercial Music Department, graduates who have gone on to some big accolades. 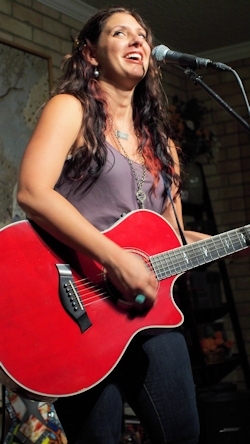 As the lead singer in Ricochet, Heath has performed on some of the biggest stages in the country, as well as having numerous Country top-40, top-20, and top-10 hits, including a #1 hit, “Daddy’s Money”. He has also performed as lead singer in top band, Restless Heart. Heath returned to West Texas to headline the 17th annual Scholarship Gala at South Plains College on Saturday February 28th, and thanks to our mutual friend Cary Banks, we have were given the opportunity to host a very special, intimate house concert for Heath on Friday February 27th! What a rare opportunity to be in this environment, face to face in our living room, with a performer who is at home headlining concerts for thousands of people. In spite of the biggest snow of this year on the morning of the concert, a good-sized group of people braved the weather to enjoy an energetic performance by Heath, Cary Banks, and percussionist and vocalist Chris Hempfling. These three blended their talents beautifully! If you loved America, Crosby Stills & Nash, Dan Fogelberg, Loggins & Messina, and the Eagles in the 1970’s, chances are you also heard a group called Batdorf and Rodney. 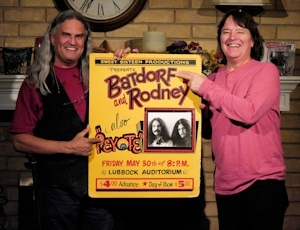 Great songwriters, with a sound very much like the above groups, Batdorf and Rodney had two very successful albums in the 1970’s before going their separate ways. We were blessed to have this opportunity to host a rare mid-week house concert featuring John Batdorf of Batdorf and Rodney. 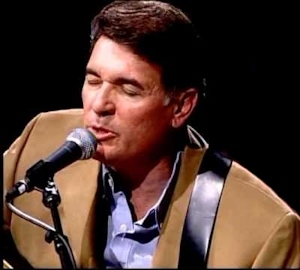 John has continued to write, play, and record since those early days, and his music is better than ever. And even if you’ve never heard of him, trust me, John is an amazing musician and songwriter. If you missed this HubCityMusic.com house concert, you missed one of the best-ever concerts we’ve had the pleasure to host! 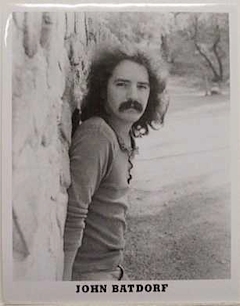 Some notable background – In 1975, John Batdorf visited Lubbock when Batdorf and Rodney played a concert at the (then) Lubbock Municipal Coliseum (now City Bank Coliseum), and shared the stage with opening act Peyote, headed by local music legend Junior Vasquez. So in a full-circle sort of coincidence, John and Junior once again shared the stage, this time to close out John’s house concert, performing an impromptu duet of “For What It’s Worth”. What an incredible experience it was to see those two on the same stage together almost 40 years later! Watch for a video of John Batdorf and Junior Vasquez performing “For What It’s Worth”, on this page in a week or two. 5th Annual Harvest Moon concert! Our 5th annual Harvest Moon party! Just like last year, this year’s event sold out in about 24 hours. And the concert was well worth all the anticipation. Mike, Mark, & Mike never sounded better! Their vocals were spot-on, and the musicianship was unsurpassed. And they performed several new songs they have never done in public before. We can’t wait for next year! 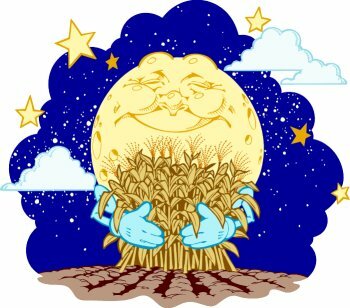 In the meantime, check back here in the next few weeks for a few videos from this 5th annual Harvest Moon concert. It’s hard to believe that it’s been 5 years since we first hosted The Hat Trick in our living room! This concert is our 5th annual celebration of life, love, and friends, at the time of each fall’s Harvest moon, the full moon closest to the Autumnal equinox. Often, the harvest moon seems to be bigger or brighter or more colorful than other full moons, so it’s a great time to enjoy a romantic concert. And it marks the beginning of the change of seasons, reminding us of the passing of time, and how important it is to share our time with those we love. 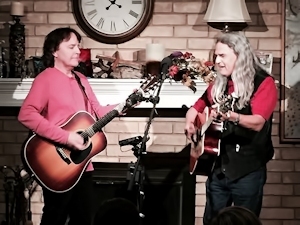 The inspiration for this extra-special house concert is taken from Neil Young’s song “Harvest Moon”, which The Hat Trick performs better than ‘ol Neil himself. No disrespect to Neil Young, but let’s face it, Mike Pritchard’s voice is so much smoother and stronger than Neil’s warbly falsetto, and Mark Wallney’s guitar mastery is similarly superior. Their performance of this romantic and seasonally appropriate song sets the stage for a relaxing evening of undeniable musical and vocal talent by Mark Wallney, Mike Pritchard and Mike Boyd. 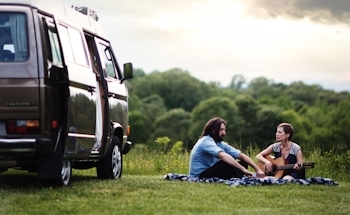 In the last 2 years, the Kelley McRae duo has played over 300 shows coast to coast and traveled over 75,000 miles in their VW van. Along the way they encountered the people and places that inspired the songs on their recently released third album, BRIGHTER THAN THE BLUES. 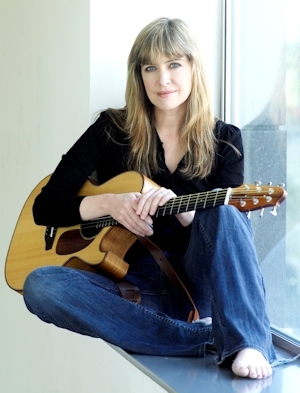 Kelley’s music can be described as heartfelt Americana carrying a sense of hope and light, and she has found impressive fans: Paste Magazine gave her four stars, and WNYC’s ‘Soundcheck’ named her performance one of the year’s best. The duo has performed at such venues as The Bluebird Cafe in Nashville, The Red Clay Theatre in Atlanta, and The Living Room in NYC, and has performed with The David Wax Museum, Kim Richey, and Rose Cousins, among others. Previously residing in NYC, the duo is currently writing and recording new material in a cabin in the Nantahala Forest of North Carolina. In 2014 they are embarking on a seven week European Tour as well as headlining the TVFCU Stage at The Riverbend Festival in Chattanooga, TN on Friday, June 6th. When adding our HubCityMusic.com venue to their resume, Kelley and Matt brought their “A” game, performing with incredible vocals and musicianship. And they earned our respect in regard to their songwriting ability, as well. Kelley and Matt are as well matched in regard to creative songwriting as they are in regard to vocals, instrumentation, and marriage. This is one of those couples that was destined to find each other, and we are so glad they did! 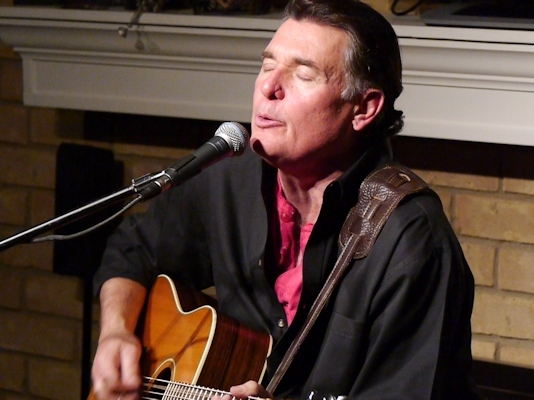 KENNY MAINES PLAYS TO A SOLD-OUT AUDIENCE for his CD release house concert! The first month of the new year has been a busy one for Kenny Maines! 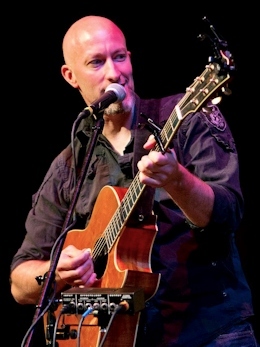 Fresh on the heels of the release of his new CD, “The Magic Train“, Kenny hosted two CD release concerts. The first of these was a sold-out, intimate solo acoustic HubCityMusic.com house concert on Friday 1/24, and the second was at the Cactus Theater on Saturday January 25th with a full band CD release concert, accompanied by the musicians who participated in the making of the CD. Paul Johnson’s house was packed to capacity (62 people!) as Kenny delivered not only the music, but the story behind the music. In this intimate setting Kenny had plenty of opportunity to interact with the audience and share the stories behind these new songs, and how they all fit into the “Magic Train” theme of this new CD. Needless to say, both Kenny and the audience loved the close, personal interaction that is so characteristic of house concerts. Movie star qualities are one thing, but Kenny’s songwriting and performing talent are what brought him to our collective consciousness in the first place, and that is where Kenny’s heart remains. 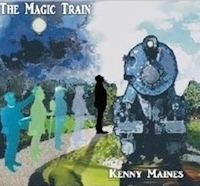 He is proud of “The Magic Train“, noting that the CD weaves a musical story of love, adventure, life, death and redemption, from the first song to the last, and he is excited to share that story in these CD release concerts. Hop on board “The Magic Train”, and (if you haven’t already) buy a copy of this new CD! It is available on Kenny’s website (www.KennyMaines.com) and on iTunes. One thing I’ve learned about house concerts is that if you don’t ask, you will not receive. I figured it was a long shot that we would ever get these headline performers from New York, Chicago, and Boston to come to our living room in Lubbock, but I asked anyway. And guess what? They were doing a concert in Austin in November, and were able to stop in Lubbock along the way! Wow! 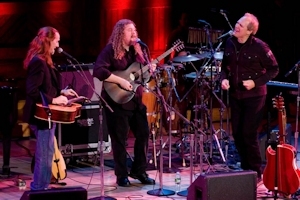 After main stage performances with standing ovations at both Kerrville and Falcon Ridge Folk Festivals in 2011 and sold out concerts throughout the US, this summer they earned not only return invitations to Kerrville and Falcon Ridge but also invitations to Old Songs Festival, Philadelphia Folk Festival and Kerrville Wine & Music Festival. So, what an opportune time to come to Lubbock – right on the heels of the 2nd annual Lubbock Folk Festival. And what a concert they put on, in what might be considered the crowning finale of a weekend of great music! They were in fine form for an extremely appreciative and attentive audience. The beautiful and creative Melissa Grimes, whose own Rockin’ Box 33 house concerts have served as a model for how to do house concerts right, was in attendance, and I must say I’ve never seen her more enthusiastic about a performance! Now that’s a great compliment to these performers! 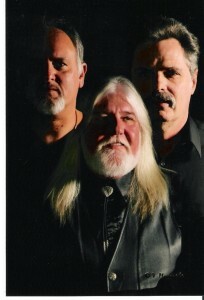 This trio weaves three-part harmonies as well as Peter Paul and Mary or Crosby Stills and Nash, and they are each amazing songwriters as well. The result is an astounding blend of music and message. Fusing folk, Americana, blues, pop, jazz, rock, and a cappella singing, Brother Sun is an explosion of musical diversity and harmony, in the finest of male singing traditions. Joe Jencks, Greg Greenway and Pat Wictor celebrate the amazing power of singing together, their rich voices blending on a well-crafted foundation of guitar, slide guitar, bouzouki and piano. Brother Sun’s self titled album debuted at No. 2 on the Folk DJ Charts (it stayed on the charts for 8 months) and was named the No. 8 album of 2011 on FOLK-DJ, and their newest CD, “Some Part of the Truth” has just been released to rave reviews in 2013.